President Obama may not want to exploit the energy buried in Canada's Alberta oil sands, but China sure does. Think of Monday's $15.1 billion offer by China's state-owned Cnooc to buy Canadian energy giant Nexen as a post-Keystone XL Pipeline bid to replace the U.S. as Canada's biggest energy investor and market. Nexen offers Cnooc a sweeping North American energy footprint, with assets from heavy oil and shale gas in Alberta to offshore leases in the Gulf of Mexico. Part of the bet is also on Canadian politics, which could block the investment on nationalist grounds but which so far hasn't been captured by the anticarbon fevers that dominate Washington. Canada seems to understand that its resources are a gift that can raise national prosperity. And as extraction technology has improved, Canada's proven oil reserves have climbed to at least 180 billion barrels, putting it behind only Saudi Arabia and Venezuela. Unlike the U.S., Ottawa cedes most energy decisions to the provinces, which have encouraged production. A decade ago Alberta reduced to 1% the royalty that companies must pay until they have earned back their capital costs; then the rate reverts to 25%. The incentive kick-started the oil sands investment boom. 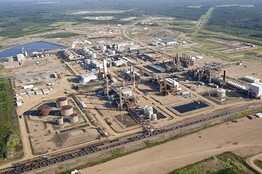 A Nexen oil sands facility near Fort McMurray, Alberta, Canada. Canada is also looking for oil from shale, drilling in the Arctic, and even producing in the Atlantic—offshore of Nova Scotia, within spitting distance of Maine. All of this has produced a gusher of oil, tax revenue and jobs. 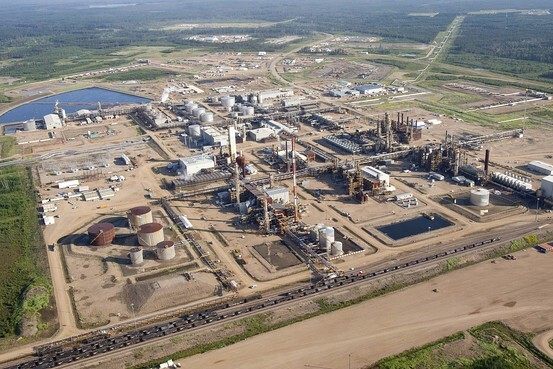 The oil sands alone are estimated to have accounted for one-third of Canada's economic growth in 2010 and 2011, according to Canada's national statistical agency. Contrast that to the U.S., where President Obama has spent tens of billions on failed green energy schemes while making fossil-fuel exploration harder. This week the White House issued a veto threat against a House bill that would restore pre-Obama plans to allow greater offshore exploration. Alaska oil production is so low that there are worries about the viability of its pipeline. Shell Oil, which has plowed $4.5 billion into an Arctic investment, has been waiting the entire Obama Presidency for permits. The EPA is also waiting for a second term to impose national regulations on shale fracking. Mr. Obama's rejection of the $7 billion Keystone XL has no doubt concentrated Chinese and Canadian minds. The pipeline would have moved oil from Canada and North Dakota to refineries on the Gulf Coast, and Mr. Obama's bow to American greens was a direct snub to Canada, which provides nearly 30% of U.S. imports. Prime Minister Stephen Harper promptly said that Canada needs to diversify its energy markets, perhaps by building a pipeline from Alberta to the West Coast to export to Asia. Energy-hungry China couldn't be happier. Chinese bids for North American companies haven't always been welcomed—see the rejection last year of a Chinese consortium's $38.6 billion hostile bid for Canada's Potash Corp. But Cnooc executives might figure that Canadian regulators will be more welcoming to this nonhostile bid in the wake of the Keystone fiasco. Canada needs capital to exploit the oil sands and the markets to buy what is produced. Cnooc can help with both. The lesson for America, and especially Democrats, is that Canada's oil sands will be developed, whether their green financiers like it or not. If the U.S. doesn't want the oil, China and the rest of Asia will gladly take it. The world wants to grow—must grow to reduce poverty—and it needs abundant, cheap energy to do it. Why is that so hard for some Americans to understand?